Remember when a few days ago I had written about a list of must-do things in Thomas Land? Well, I am pleased to announce that my blog post made the cut and we have been chosen as Drayton Manor Theme Park Blogger Ambassadors for the 2016 season. What does this mean? 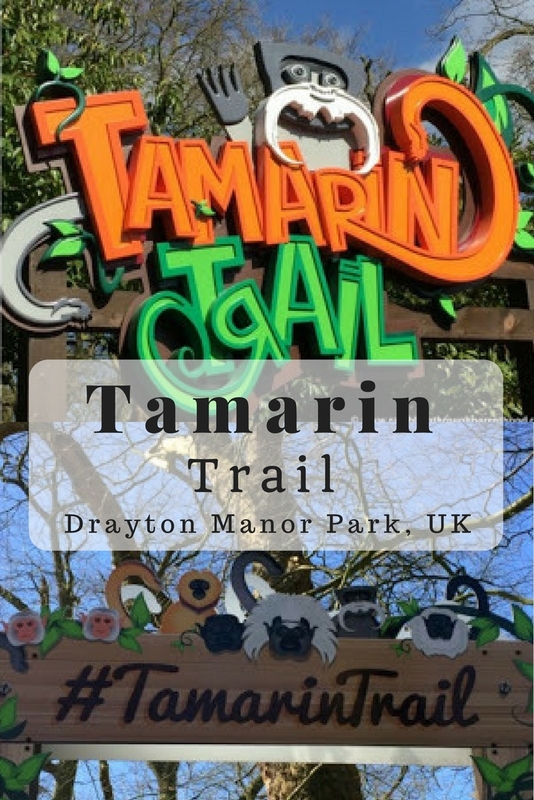 It means we have annual passes to visit Drayton Manor and Thomas Land throughout this year so we can bring you all the latest from one of UK’s best loved family attractions. I have said this before, but Drayton Manor is more than just a theme park. The latest addition to the attraction is not a thrill ride but a conservation project. 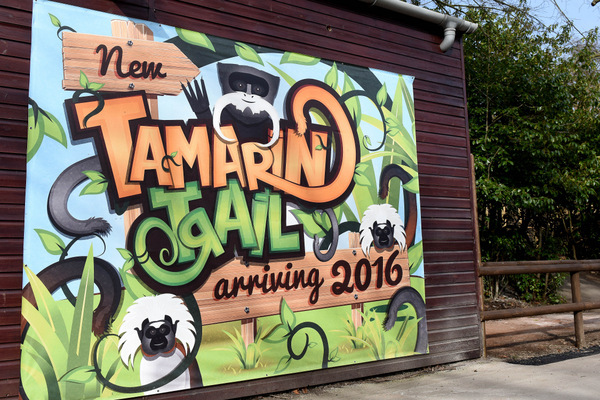 The Tamarin Trail opened last week and is now home to tamarins and marmosets. These are species of monkeys whose existence in the wild has been threatened due to uncontrolled deforestation. 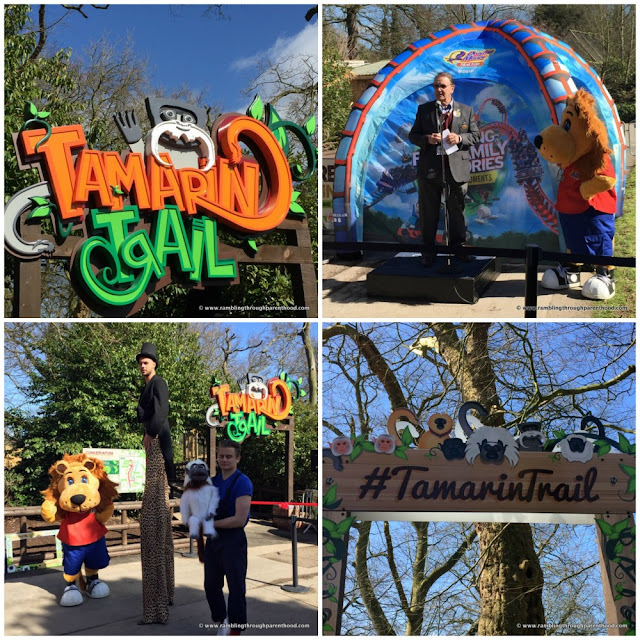 We were pleased to attend the opening of The Tamarin Trail and had the chance to see these cute little creatures. 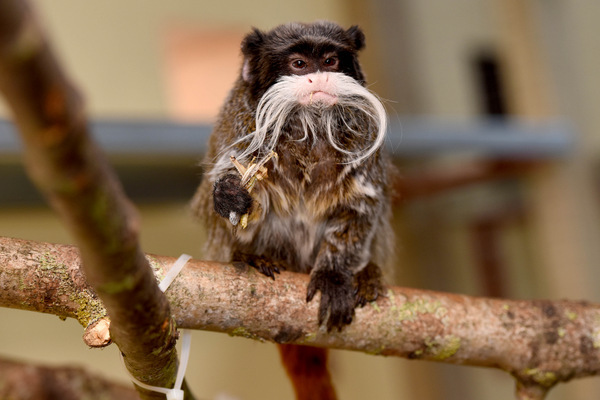 The Emperor tamarin with its fluffy white beard was our favourite. Do you believe in ghosts? Either way, do check out The Haunting, a family ride at Drayton Manor that takes you around a ‘haunted’ old mansion where there are all sorts of supernatural goings-on. I am easily spooked, but I did enjoy the experience. Contrary to expectation, J did too, and was really brave about the ‘ghouls’. The theme park is open for this season with its assortment of family-friendly and thrill rides. Try the Drayton Queen boat ride, carousel or big wheel if you are looking for a gentler pace. Go for the Buffalo Coaster, Splash Canyon or Flying Dutchman if you are feeling a little bit adventurous. Or go all out with the adrenaline rush with G-Force and Shockwave. Thomas Land with its rides, live shows and exhibitions are a must if you have a Thomas the Tank Engine fan in the family. There is always something happening here to entertain the entire family. So if you are stuck for ideas to keep the kids entertained during these holidays, why not plan a visit to Drayton Manor and Thomas Land? You can do a day trip if you live close enough. If not, turn it into a short break with the on-site 4-star Drayton Manor Hotel and the Stay, Play and Save 20% package. And they are incredibly cute, I have to say. Do go visit if you get the chance. This place looks amazing - Definitely on my list of places to take the boy :) Great pics too! Thank you David. I bet your son and you have a whale of a time! Thanks Laura. My son is over the moon and would visit every day if he could! Oh, you must. It is a great day out for the entire family as they do have gentle rides as well. It sure is, Oliver. They are so tiny and super cute, I hadn't ever seen monkeys like these before. Looks like fun! That bearded monkey is so cute and it's lovely that they're doing something conservation-wise to help. It certainly is tremendous fun, Jules. Yes, I was pleased to know how they were doing their bit to help. Congratulations on being chosen as an ambassador! 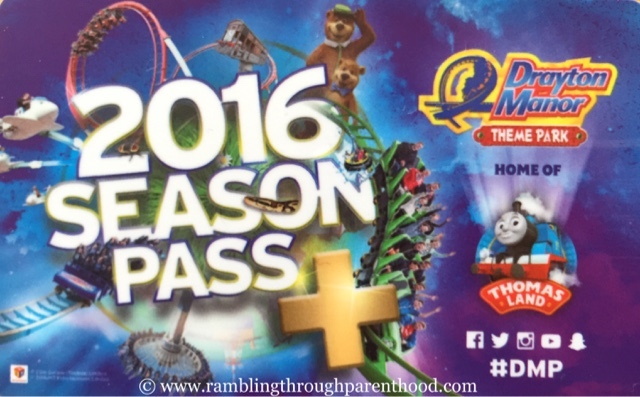 A very exciting year for you:) We are big fans of Thomas Land, my boys are train mad! I've never been to Drayton Manor - sounds fun! How cute is that Emperor tamarind? Why don't you plan a visit through the holidays? They have events running through the summer and then for Halloween and Christmas. Oh this looks like a great place to visit, my little 2 year old boy is mad about Thomas, he'd love to go here! We first went 3 years ago when my son was just coming up to 2 years old and it's been his favourite since!